Once stolid, strictly regulated organizations that epitomized lifetime employment, retail banks are now highly competitive enterprises with fragmented career structures and a new focus on sales and performance. 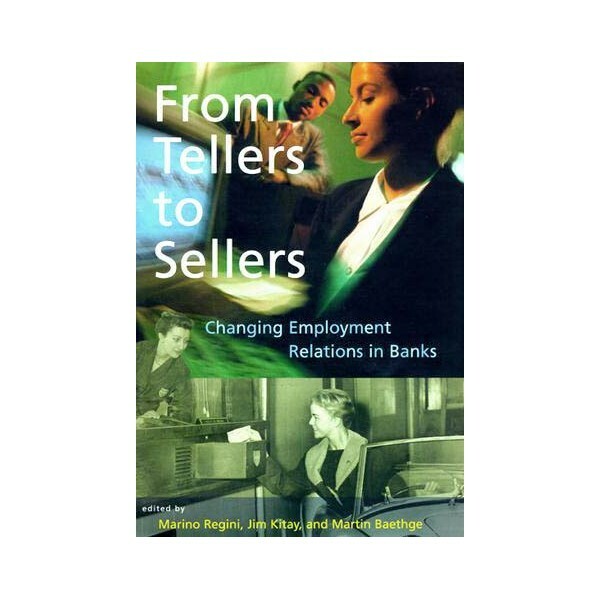 Because banks are a major employer of labor, such changes have important implications for the workplace experiences and job opportunities of a significant proportion of the workforce in OECD and newly industrialized countries.This book is the outcome of intensive study of selected banks in Australia, France, Germany, Great Britain, Italy, the Netherlands, New Zealand, Spain, and the United States. As part of a larger project on industrial relations and human resource management practices, researchers in each country explored the changing industry context and competitive strategies in relation to a number of employment relations practices, such as skill formation and development, work organization, staffing arrangements, job security, compensation, and industrial relations. The introductory chapter provides an overview of the main research findings. The country chapters present detailed analyses of the findings, and the conclusion assesses the role of markets, technology, and institutions in employment relations and discusses the interpretive frameworks that help make sense of their change and variation across countries.Contributors : Martin Baethge, Simonetta Carpo, C. Castaño, Asher Colombo, Peter Cressey, Nestor DíAlessio, Marnix Dressen, David Finegold, Andrea Jackson, Pieter-Jan Jongen, Brent Keltner, Jim Kitay, Fausto Miguelez, Tim Morris, Herbert Oberbeck, Carlos Prieto, Erling Rasmussen, Ida Regalia, Marino Regini, John Storey, Marco Trentini, Jelle Visser, Adrian Wilkinson.